"Bec van der Sluys is an inherent design natural. With her love of collecting and curating pieces, she intuitively collates spaces with soul. She makes brave design choices and it has been a delight to collaborate with her on the Holly Penthouse project". 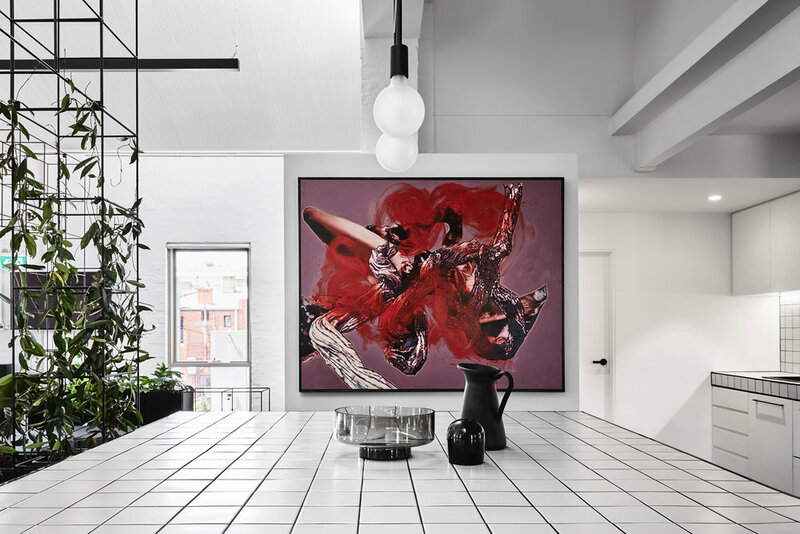 "Bec van der Sluys was commissioned to coordinate, source and style the Candlefox Head Office fitout. From day one she was a delight to work with. She has created an amazing office space which is a pleasure to come to everyday. We would not hesitate to recommend her for an office project". "Design often necessitates considering many variables such as form and function, aesthetics, price and once you have decided on all these features, then you need to source said item. This of course all takes considerable time. As a mother of three young children, renovating a heritage home into a contemporary design and running our family business, time is something I don’t have a lot of. We needed someone with vast interior design and product knowledge to understand us as a family and take care of the interiors interpretation. Bec was exemplary in understanding who we were and what key pieces we would need to bring the home together. Bec had fantastic tips on how key pieces would be utilised by our family and I’ve loved watching our family use them as such. I’m not great at making decisions, and it was a huge relief to have someone source items and present me with options within our budget. Our home is a joy to use, our interior unifies with our exterior, and this is a reflection of Bec’s great design knowledge. You have everything to gain from using Bec and I highly recommend her."